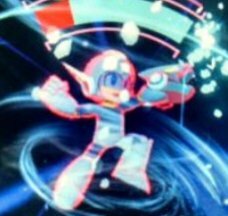 Well there has been a ton of fan art depicting Megaman's anniversary lately especially on Japanese sites and twitter, so there still maybe hope for the him in the future. 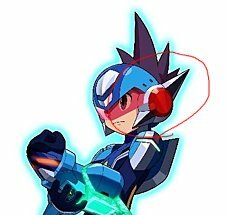 I'm sure even Capcom won't do away with him given X is in the new MVC game and we're still getting Megaman merch as of late, anyways my appreciation for all he has done being one of the major gaming influences in general right alongside Mario and Link. 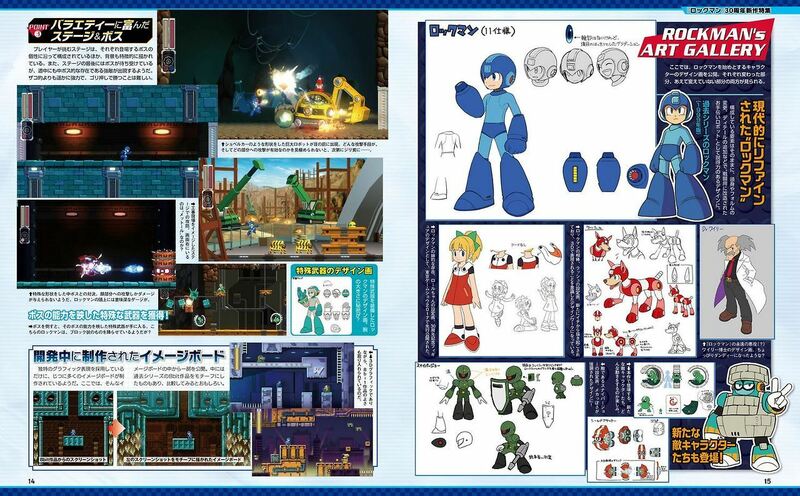 At this point, I'd much rather Mega Man just die with what little dignity it has left, than get all this merch and stuff that feels somewhat like a tease. So yeah, another anniversary live stream is coming, it seems that Capcom is actually pushing for attention on this one and Nintendo of America even retweeted the news, so a lot of people put stock into that meaning that this could be more then just merch announcements again, but it's always best to keep your hopes and expectations in moderation. Nothing too impressive just yet but looks promising. Looking at those comments... Why is it so wrong for gamers to have high expectations? Why are gamers obligated to feel grateful for getting something when it's the developer's fault for failing to deliver? Okay, now that I'm done squeeing like a fangirl I can actually talk about this properly. 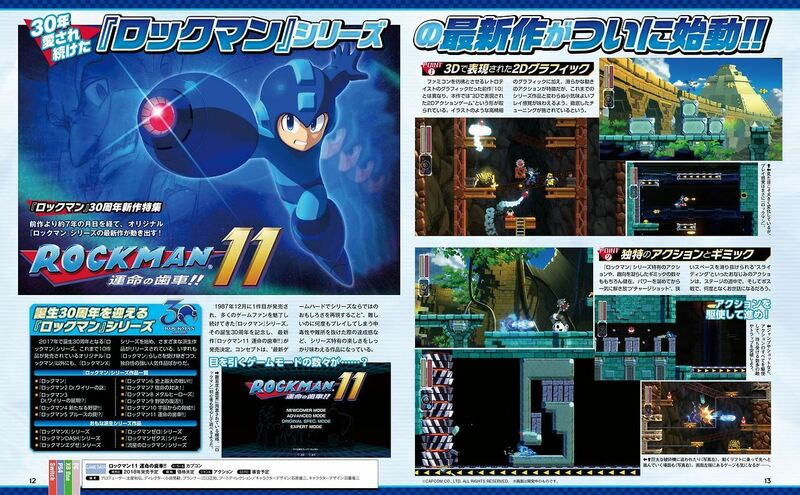 As usual for first trailers we don't know much of anything yet, but so far the game is playing into what I wanted to see from a Mega Man 11, particulary it not being another 8-Bit throwback title, that reduces Rock back to his MM 1/2 moveset, pretty nice visuals, cool trailer music and confirmation that the mysterious concept art found in Legacy Collection 2 did mean something. We will have to just wait for more infos, but as it is now I'm just super stocked to see one of my favorite franchises since childhood back in business. Uh oh~ Dr.Wahwee is at it again! 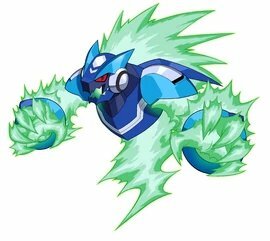 Wonder if the X releases will include the improvement that were supposed to be in the X collection until Inafune told them to scrap them in order to promote his series of MMX remakes that never happened ..? I can't see it honestly. So I doubt they'll bother adding in the scrapped extra content. Instead it'll most likely be straight up emulations like what both Legacy Collection's and the Disney Afternoon collection were with little to no changes to the games themselves, and maybe some extras here and there like a challenge mode and art gallery, but nothing more then that. Though it would be nice if that was the case. I am very interested in this game. For one, I'm happy that they're going for something completely new here instead of keeping it strictly to the 8-Bit style and presentation that 9 & 10 had going for (Which isn't a problem by any means as it's a classic style and one that is synonymous with Mega Man, but it's nice to get something new and different) And while I can't say too much about it as there's really not much to talk about at the current moment, I am intrigued by this game so far and I hope it ends up being a big success. Oh yeah and I'm definitely digging the new artwork as well. Smash Bros continues to become canon. I love this way too much. So this is what all that earlier art was for...kind of wish they went with a different style though. While I'm glad to see a new artstyle that isn't just a retread of something old, Ishihara's art this time around seems kind of sterile for this kind of outing. Oh well, it's not important really. Not that I mind, because I really liked what we got to hear of the music in the trailer. Yo there's already fan art of Roll's Megaman 11 design, nice. 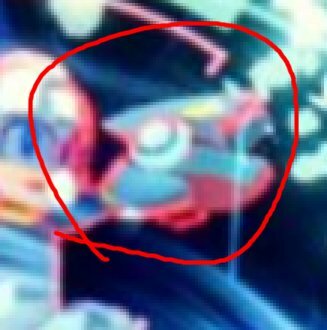 If Rock has his Mega Buster back then will we see Proto Man as a playable glass canon or is he gonna go back to being a support character appearing in levels. 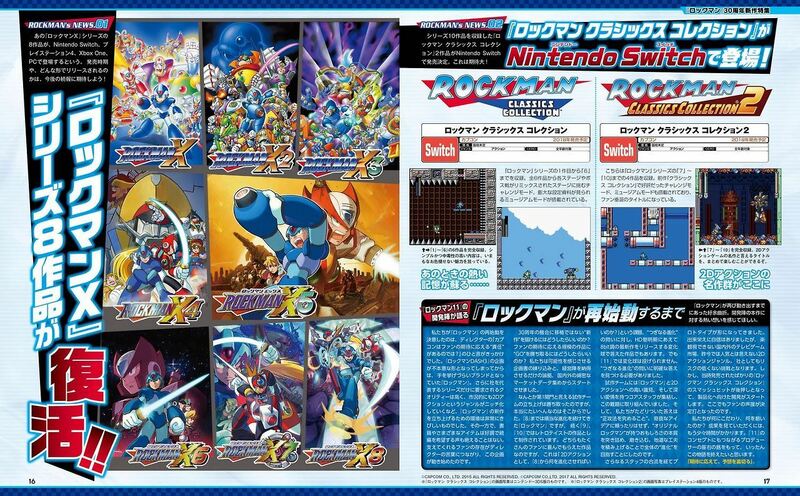 Looking at the art for MM11 and how different it is compared to MM9 and MM10 is also quite interesting. 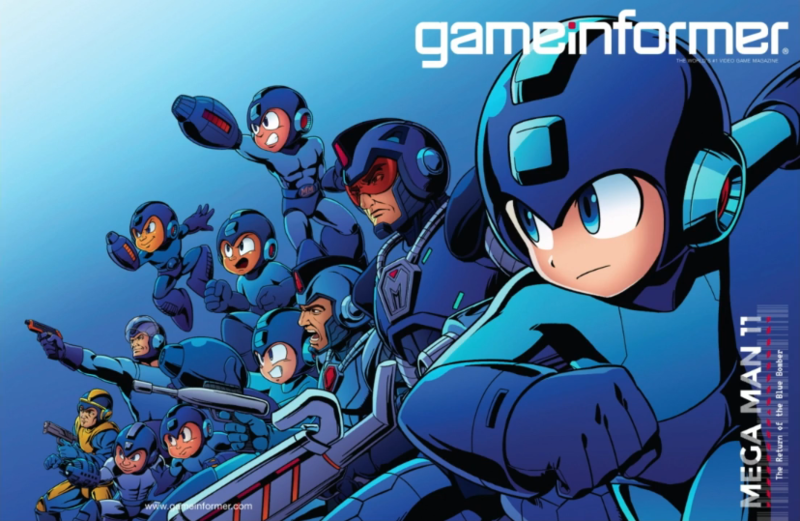 Since it doesn't really emulate the classic style it seems to go for a more modern outlook which got me thinking about Megaman's official art work in general and was wondering if anyone would like to share their favorite art style. 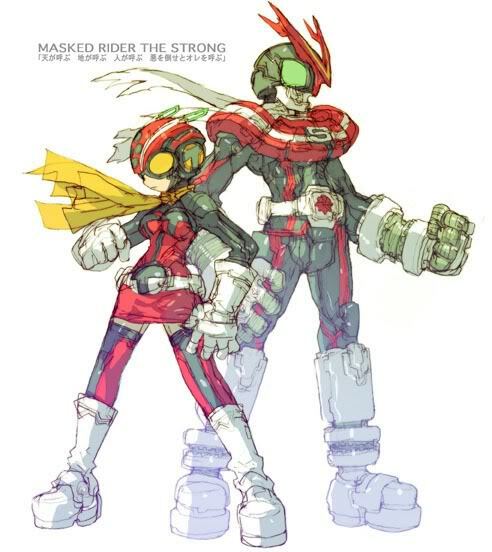 Classic and X are a given but one of my most favorite artists who have worked on the franchise is Toru Nakayama. He's a freelance designer and believed he also worked on other games as well one of which is called http://domo.wikia.com/wiki/Domo_Wiki. Dunno anything about it but his art style still really stands strong. To some of the more humanoid design for robots to more monster-like ones. 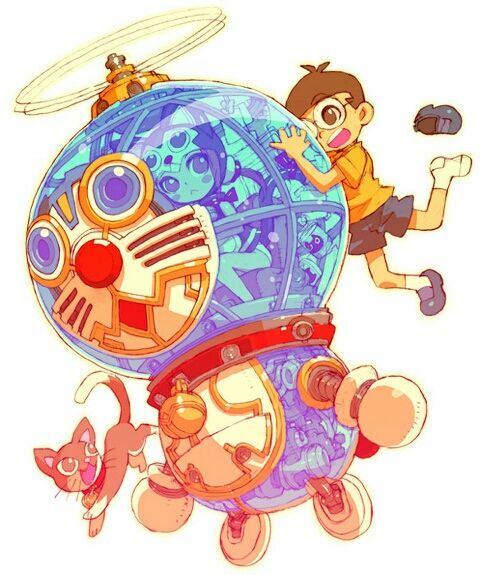 Also recently he has drawn stuff from other Japanese media like Kamen Rider and Doraemon as well which I'll link below. Here's hoping more info on other artists who worked on these games come up if there's any more. 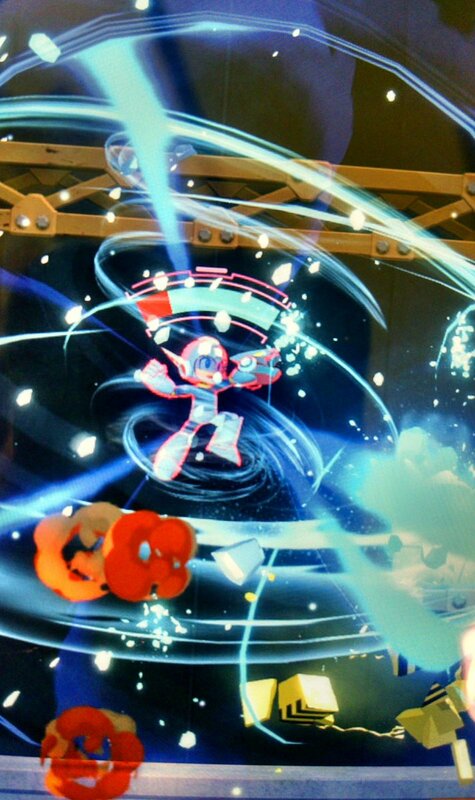 So uh, I doubt anyone was really excited for it but that new Mega Man cartoon is supposed to start airing next month.